How much is $100 really worth? $100 right? You would think so, but how come this is no longer a reality? 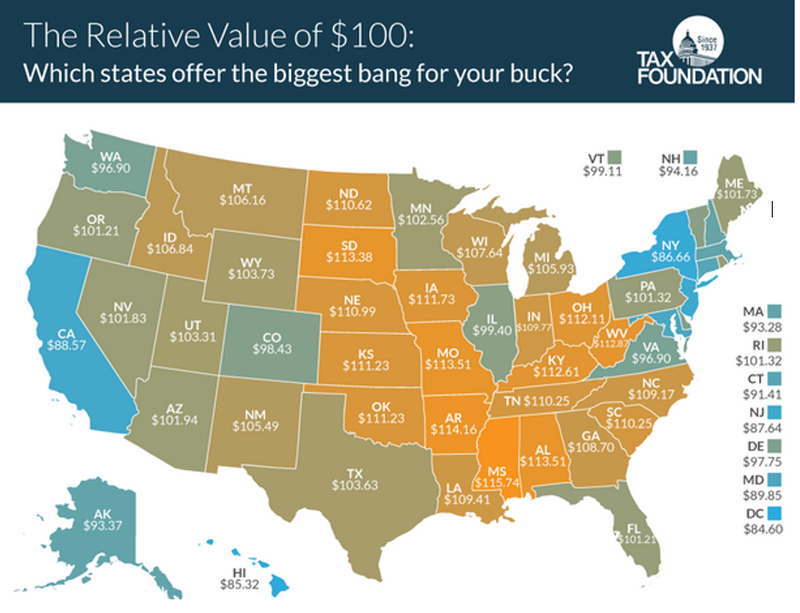 How come each state has a different value of $100? Due to the varying average prices on similar goods in each state across the country, the same amount of money will buy you less in some states as compared to others. “Well this isn’t fair!” you may say, but it all has to do with the economic, political, and social conditions within each individual state that causes these fluctuations. States with a high cost of living and above average taxes such as California or New York cause the true value of $100 to be less than expected. The states where $100 is worth the least are the District of Columbia ($84.60), Hawaii ($85.32), New York ($86.66), New Jersey ($87.64), and California ($88.57). States also have different minimum wage requirements which can unevenly distribute wealth among the states and also cause the inflation seen in high-price states. This article is brought to you by Wise Loan. Wise Loan offers installment loans in Texas and Utah and is the only lender that helps borrowers get a better future with cash back rewards for timely loan payoffs.